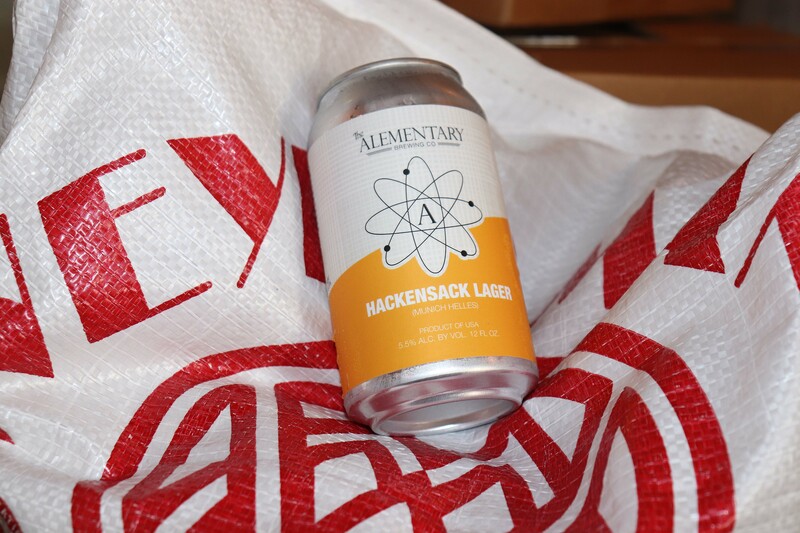 Hackensack Lager: Building a Flagship | The Alementary Brewing Co. When we first opened our brewery back in 2016, we had no idea that a simple lager would become a cornerstone of our year-round lineup. Clean and crisp, Hackensack Lager is a beer that is simultaneously familiar and innovative in the modern craft beer scene. It’s a “gateway beer” for new craft fans, and it’s also like going back home for experience craft drinkers. It’s truly a beer for everyone, for everything. Making a great lager in a small brewery is no easy feat! We pride ourselves in the consistency and technical skill with which this beer is brewed. Making this beer is all in the details. As with any culinary endeavor, everything starts with the best ingredients we can buy. For Hackensack Lager, all of the malts are sourced from the world-famous Weyermann maltster in Bamberg, Germany. The “modern” Weyermann company was founded in the late 1800’s with a roasting drum under a tarp used as a tent, and they’ve grown to be one of the largest malt producers in the world. Hackensack Lager makes liberal use of the Weyermann classic pilsner malt, with just a touch of their Vienna and Munich malts for a round lightly sweet malt profile. For hops, everything comes from Hopsteiner. They’ve been in the German hop business for 170 years and have quickly become our favorite hop provider. For the lager, German Magnum and Saaz hops give the beer a familiar light, spicy bitterness. Our local water is not exactly excellent for this style of beer. But, in typical Alementary fashion, we engineer our way out of it—Dr. Roosevelt performs water analysis every week in our on-site lab, and in the brewhouse we use that information to adapt the water with a few additions and turn it into exactly what it needs to be for every single batch. And finally, there’s the yeast. For our purposes, we employ a yeast strain from a famous German brewery that must remain nameless. To keep things trucking along and keep the yeast happy, we re-use it many times. After each batch, the yeast is harvested and evaluated in the lab. Only after we analyze the health of the yeast is it approved for use in future batches. This yeast is a beast, and it is responsible for the characteristic clean, bright flavor of our hometown lager. There’s no way to escape the fact that brewing this crystal-clear beer repeatedly requires precision and persistence. 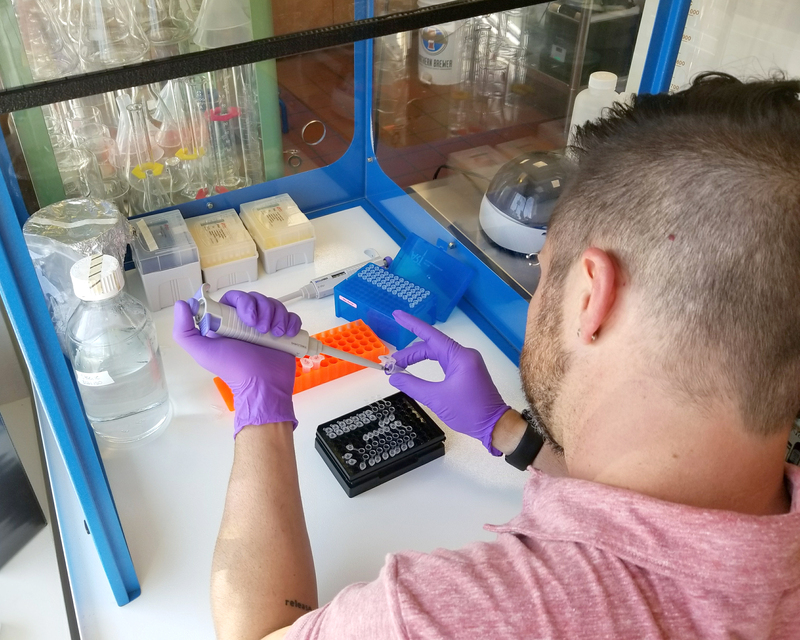 In addition to an incredibly skilled and detail-oriented brewhouse staff, we’re fortunate to provide them additional support through our comprehensive on-site laboratory. Each batch of Hackensack Lager is brewed according to well-defined specifications and all of the critical parameters are verified in the lab. If at any point our brewers are having a challenge, Michael is there to assist and determine the source of the problem and help them correct it. With the team all working together, we’re able to produce a high quantity of this wonderful beer at blazing speed (as far as lagers are concerned, which always take longer). So after all this effort of ingredients sourcing, brewing, and all the back-of-house work, you get a consistent and reliable lager that’s made locally and is available when you need it. We’re proud to call Hackensack our brewery’s home, and we’re proud that this beer is made here. So next time you’re around, grab a pint, take home a six pack and share it with friends. Cheers!